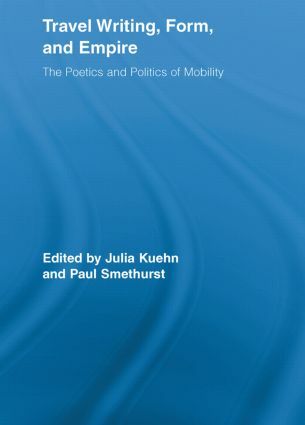 This collection of essays is an important contribution to travel writing studies -- looking beyond the explicitly political questions of postcolonial and gender discourses, it considers the form, poetics, institutions and reception of travel writing in the history of empire and its aftermath. Starting from the premise that travel writing studies has received much of its impetus and theoretical input from the sometimes overgeneralized precepts of postcolonial studies and gender studies, this collection aims to explore more widely and more locally the expression of imperialist discourse in travel writing, and also to locate within contemporary travel writing attempts to evade or re-engage with the power politics of such discourse. There is a double focus then to explore further postcolonial theory in European travel writing (Anglophone, Francophone and Hispanic), and to trace the emergence of postcolonial forms of travel writing. The thread that draws the two halves of the collection together is an interest in form and relations between form and travel.